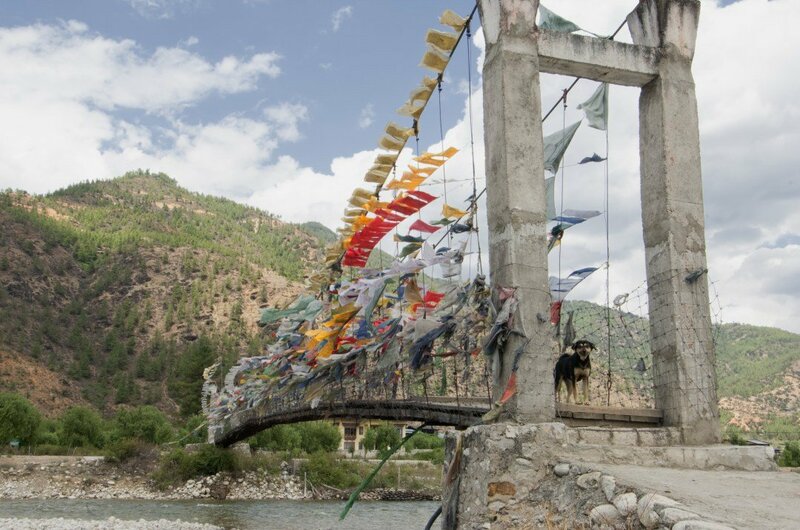 The locals honour all visitors to Bhutan, and for that, we thank you for allowing us to see your awe-inspiring country. 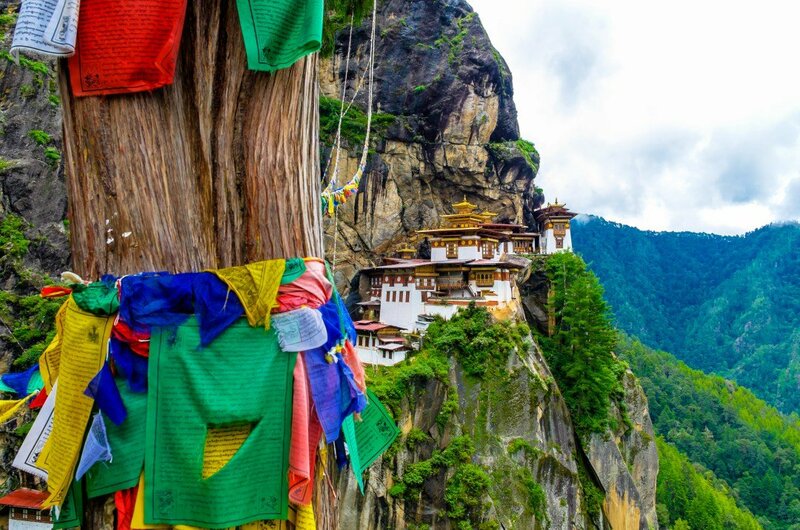 1Accessible by mountain only travel the paths to holiest sites and Buddhist Temples in Bhutan. Hanging onto the cliff’s edge over 3,000 meters above the sea level, this hidden location has astounding views over the emerald valleys below and the surrounding magnificent mountains. This holy and sacred site is a truly unforgettable experience. A guided tour is a must ! 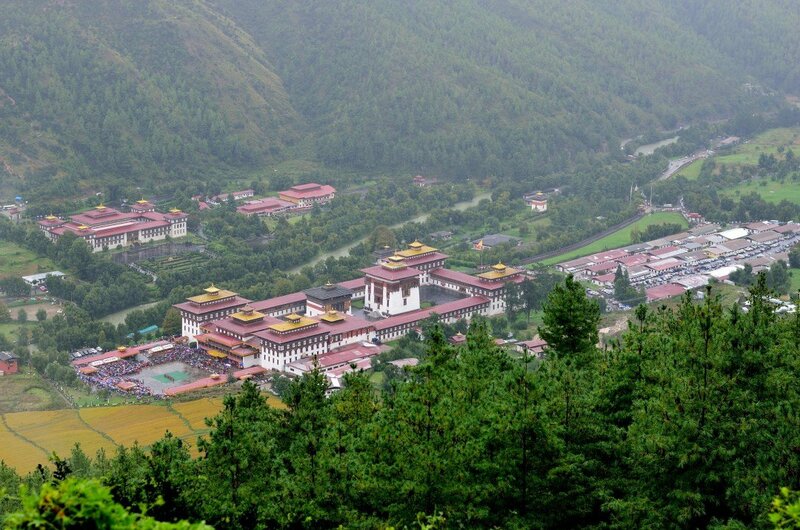 Thimphu the capital of Bhutan known to be one of the fascinating vacation destinations of the world. The contrast between the conservatism of this ancient town and the unstoppable progress of modern life is clearly seen here with a stark contrast between traditionally dressed robed monks and tourists. Fabulous private tours are available. 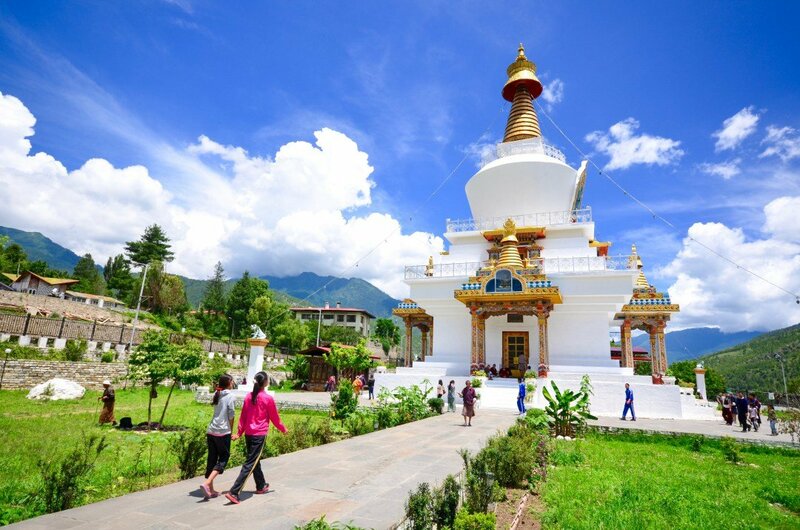 High above the Nature Park sits the truly spectacular bronze and gold statue of Buddha Dordenma. Fulfilling one of two ancient 8th-century prophecies by a prominent Yogi and to bring peace and happiness around the world this imposing structure measures nearly 52 metres high. Looking out over the Nature Park it is one of the largest Buddha statues in the world and is a perfect place for meditation in the great hall below. 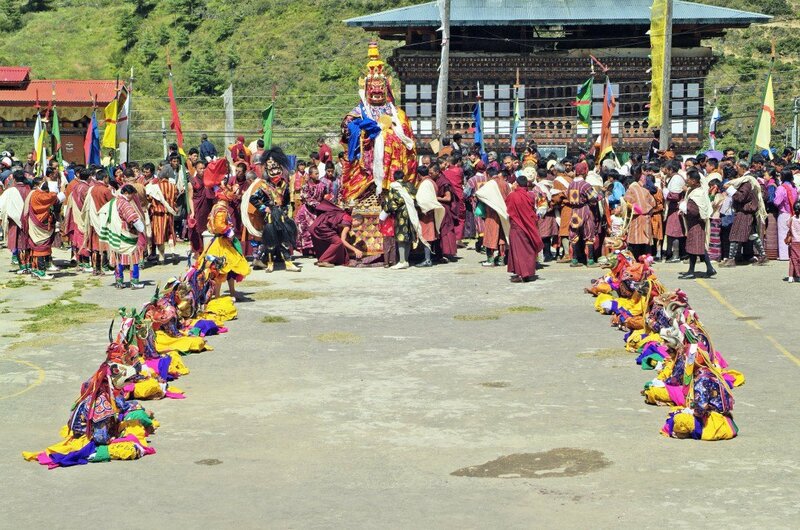 The ancient regions of Lhuentse and Mongar lie in the far northeast corner of Bhutan and have some of the most sacred pilgrimage sites of the country. One of the most isolated regions and home to our ancestral kings its stark landscape is truly breathtaking from Forests and gorges to towering cliffs. Famous for its distinctive textiles and handmade paper these traditional villages and their occupants offer a warm welcome. Lying on the banks of the river Paro this sleepy town is just a short distance from the imposing monastery and fortress of Paro Dzong. Wooden restaurant fronts traditionally painted in beautiful colours line the Main Street only constructed in 1985. Still maintaining some of its own character from years gone by, spend a few hours in this fantastic town wandering the varied shops and cafes. 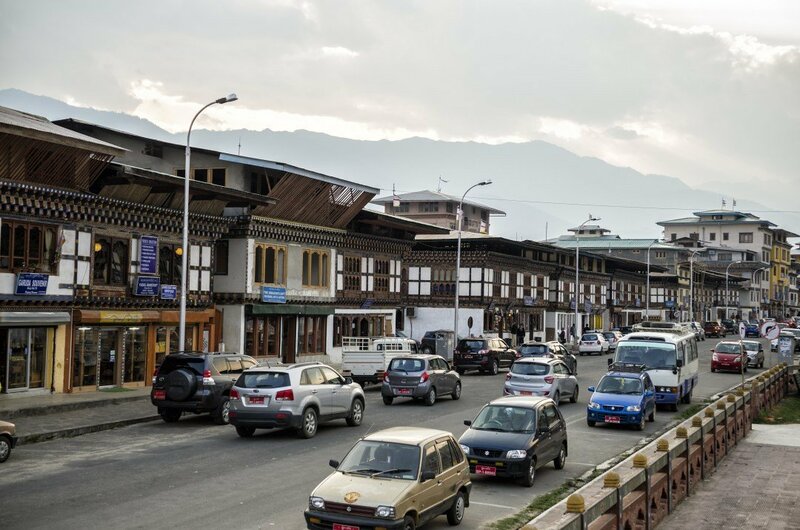 Punakha is a small town with an awesome view of the mountain, river, and the monastery together. To enter the Dzong (monastery), whilst you need to cross the Pho Chhu Suspension Bridge known to be the longest suspension bridge in Bhutan while walking over towards the dzong you get to see the spectacular views of Punakha Dzong and the Pho Chhu Valley. Once inside the monastery, there is an air serenity. 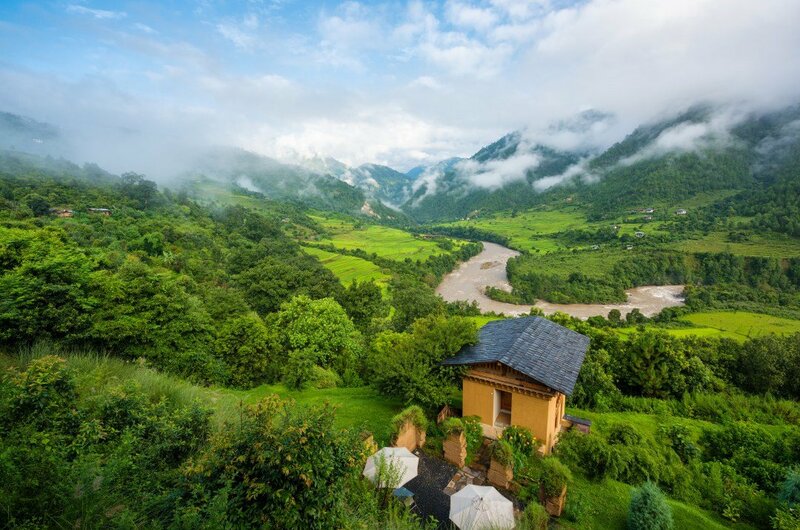 This is a must see for nature lovers and bird enthusiast, a stunning valley with lush greenery and surrounded by huge mountains it is indeed very impressive. The valley is like a bowl in the centre of the huge Himalayan mountains; The Longley Trek is a highly recommended and interesting guided tour, you may be lucky to see the Black long-necked cranes! Peaceful and serene, when you enter from the small gate you may be lucky enough to see the disciples chanting and walking clockwise around the beautiful tall white memorial. The four prayer wheels are fascinating. 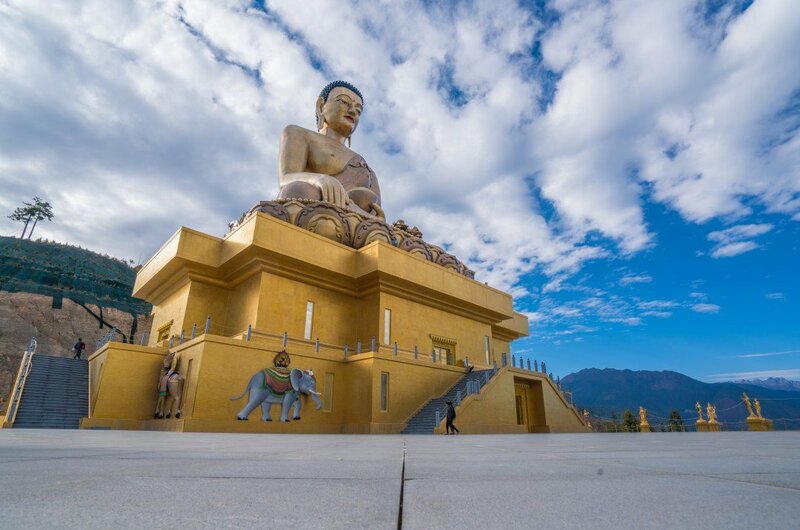 It says once you enter the whatever you wish for shall be granted!The memorial reflects the faith and respect shown to their Royal family which makes you respect the Bhutanese people even more. Enjoyable tour. 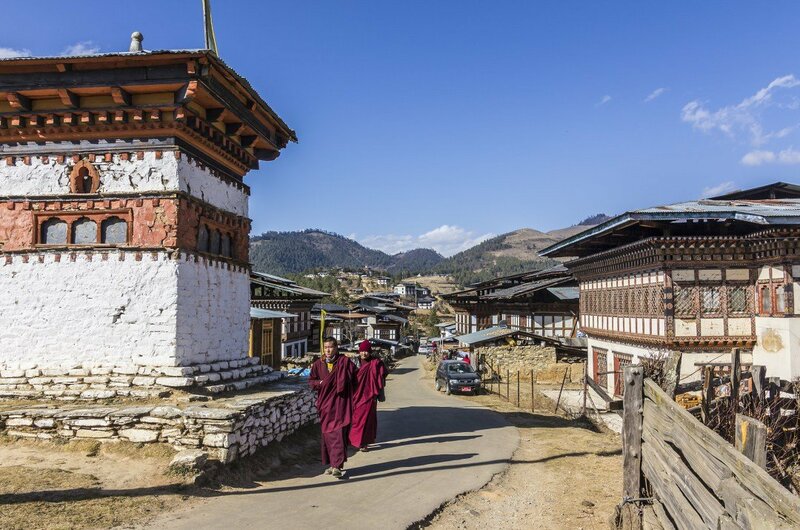 It may be one of the smaller districts of Bhutan. However, Haa Valley is famous for both the Black Dove Temple and the White Dove Temple. Both can be seen whilst looking down from the Dzong fortress; you can also enjoy a breathtaking view of the forest-covered landscape below. The archery ground is also a great place to visit, and the local villagers are more than happy to share their bow with anyone willing to have a go! The window to the Himalayas ! 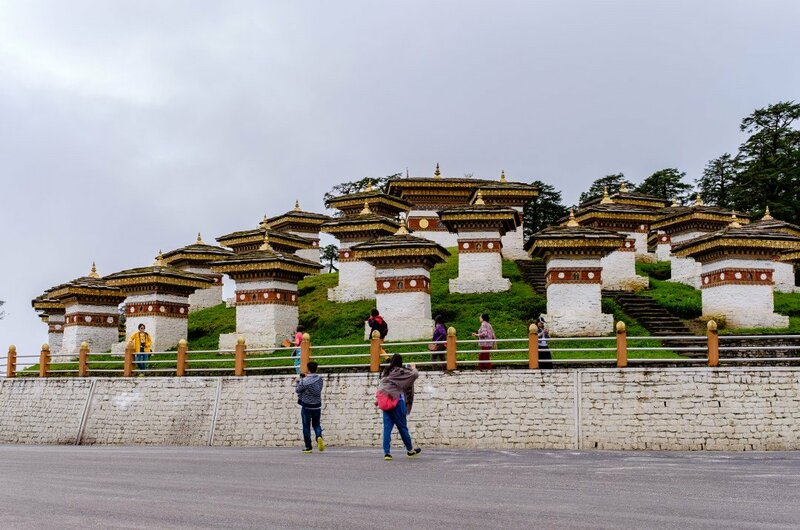 you cannot visit Bhutan without coming to see the stunning panoramic views, even in bad weather conditions the views are still breathtaking.On a bright day, you may be lucky to see the snow-clad mountain tops of the Himalayas. A small, serene cafe awaits with hot tea to heat you up, as it can be around -2 at the top of the mountain!